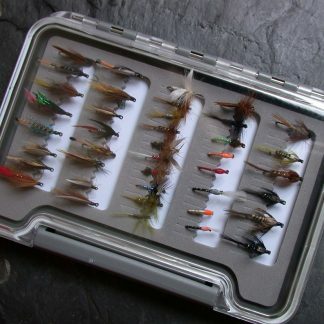 A boxed selection of traditional Scottish salmon doubles. 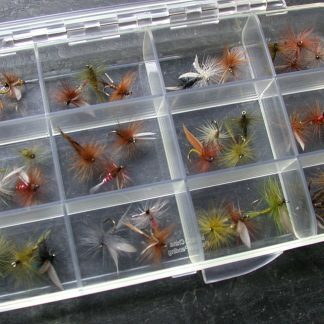 A boxed selection of Twenty Scottish Salmon Flies tied on high quality Fulling Mill hooks and presented in a durable and practical plastic fly box. 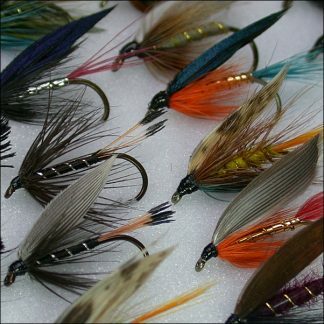 Each Traditional Salmon Fly selection has been chosen to give a good range of patterns in terms of colour and style, in the most practical sizes of 10 and 8, for use throughout late spring, summer and autumn. 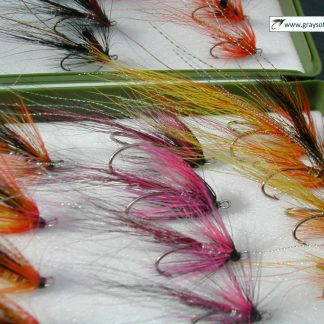 This boxed selection of Salmon Flies is a blend of the old and the new in Scottish salmon fly fishing. 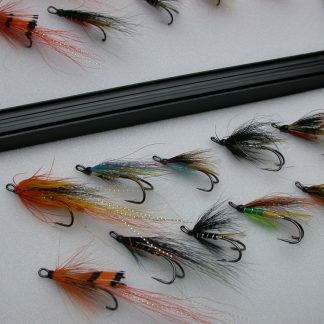 Old favourites selected from a range of famous classic patterns such as the Jock Scott, Blue Charm, Hairy Mary, Green Highlander, Thunder & Lightning, Stoat’s Tail and Munro’s Killer claim their well deserved place in the fly box alongside the new breed of modern shrimp patterns like the Cascade and Ally’s Shrimp, which have proven so effective in recent seasons. 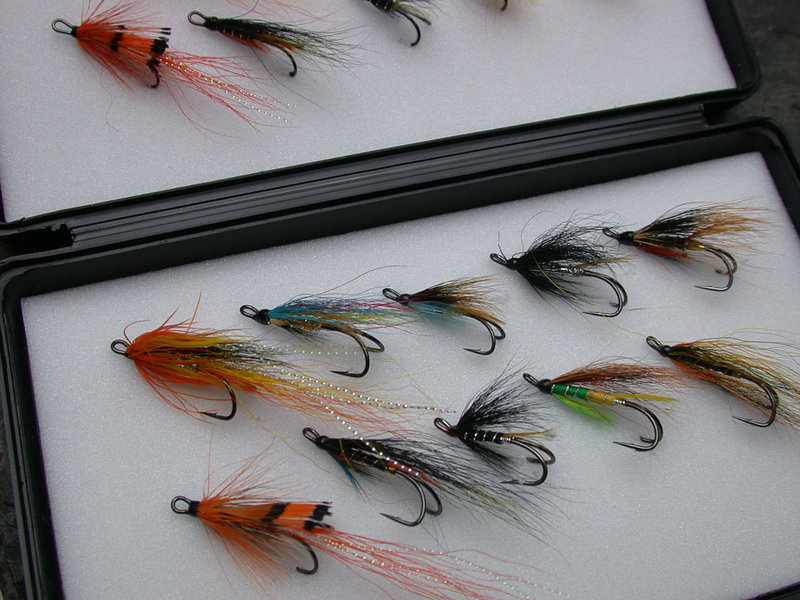 Each Salmon Fly selection offers practical variety for late Spring, Summer and Autumn salmon fishing. 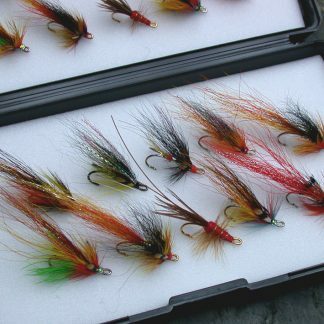 The smaller, darker patterns will, in general, be of most use in low, clear or warm water conditions while the larger, brighter patterns will come into their own in high, cold or coloured water.